Balcony doors which are basically an oversized window with or without a lowered threshold. Entrance doors are designed to be the main door to a house and have cylinder locking mechanism which has a minimum of 3 locking points. 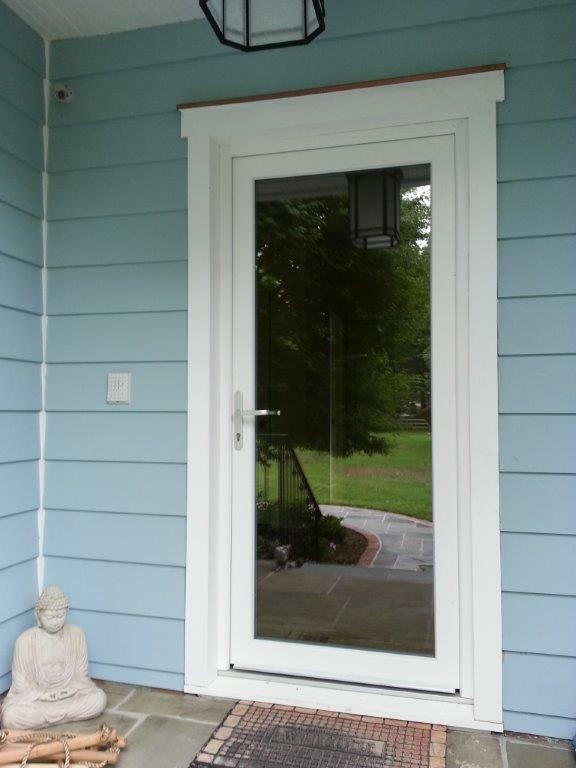 Tilt & slide doors, tilt inward on the top with the turn of the handle. This design feature is so that the door can provide ventilation while remaining locked. 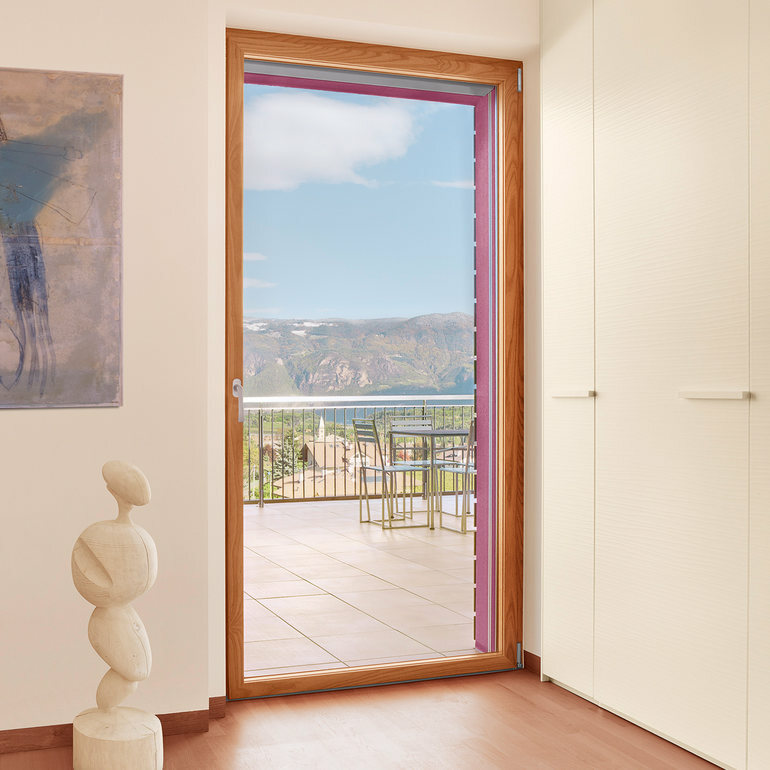 Lift & slide doors are designed for large openings and ease of use. Can be made up to 20' wide. Balcony doors are called fenster türen or window door. 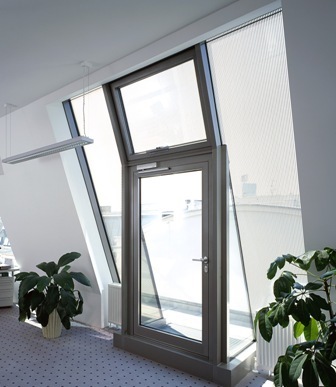 They have the same frame and locking mechanism as our tilt & turn window system. They come with optional low threshold. For heavier security glass we use heavy duty heroal hinges. Balcony doors are operated from an inside handle and can only be locked from the inside. The exterior has a pull handle to shut the door when exiting. The lack of an outside handle prevents access to opening the door and adds to the security. In Germany there is generally 1 main entrance door, the rest are balcony doors. It is a cost effective solution. 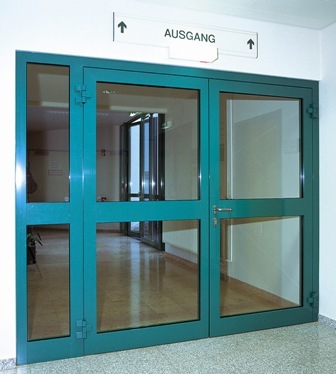 Entrance doors are called haustüren or house door. They are designed to be the main entrance to a house and have cylindrical locks which open and lock with a key from the outside. On the inside they can be locked with either a key or tumbler. Motorized locks are also available and are compatable with all low voltage security systems. 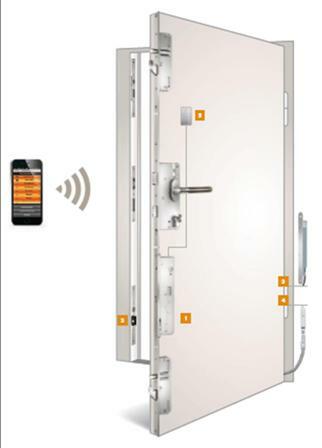 Motorized locks can be opened with a code reader, fingerprint reader home automation system, remote or cell phone. Steel reinforced UPVC entrance door with A3 level security glass and multi point locking mechanism. 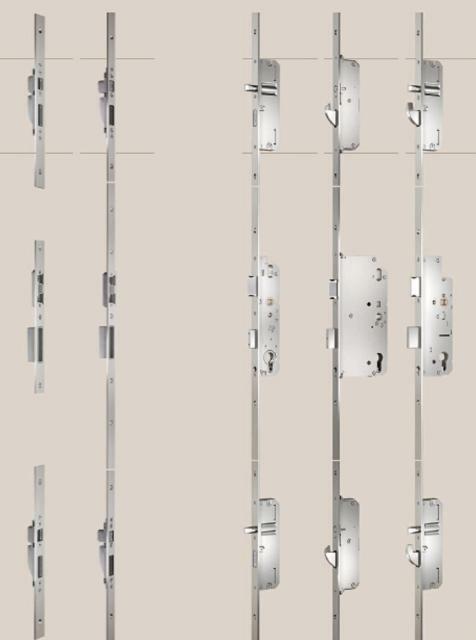 The following picture illustrates the different locking mechanism types available. These can be manually controlled with a key or tumbler or motorized controlled with keypad, remote or bluetooth. 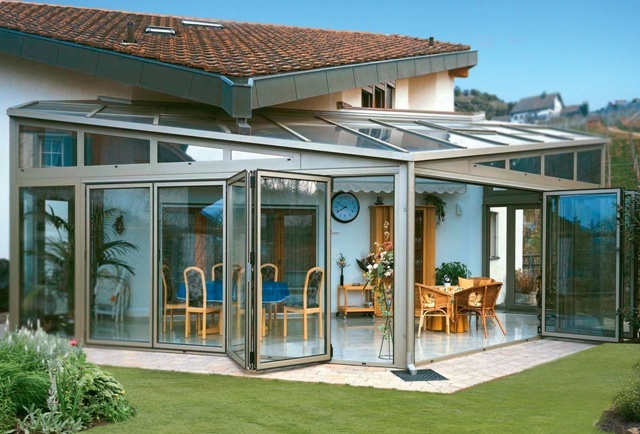 Lift & slide doors are designed to house large pieces of heavy glass and open with minimum effort. 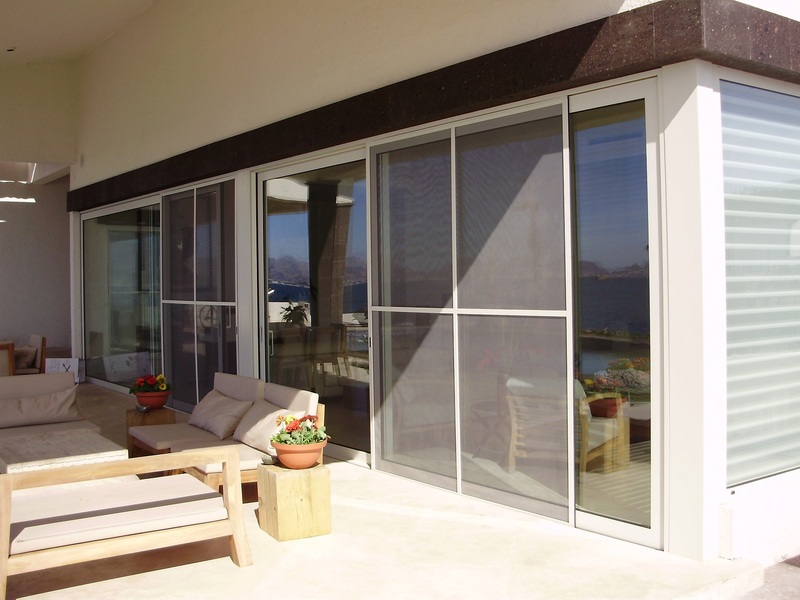 Lift & slide doors can house glass up to 500kg or 1,100lbs. Folding doors (some refer to them as accordion doors) can be constructed in a variety of opening methods. Panels can fold in, out, 2-left 3 right etc. They can be top hung or bottom run. The design possibilities are endless with these costom solutions to creating open spaces. Click for more images.